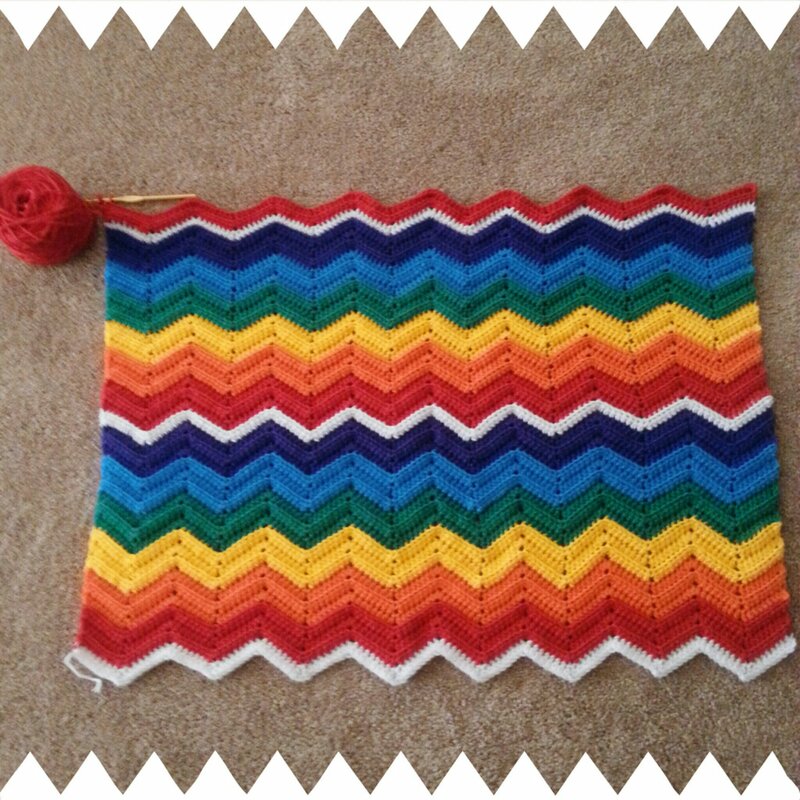 “A rainbow baby is a baby that is born following a miscarriage or still birth. 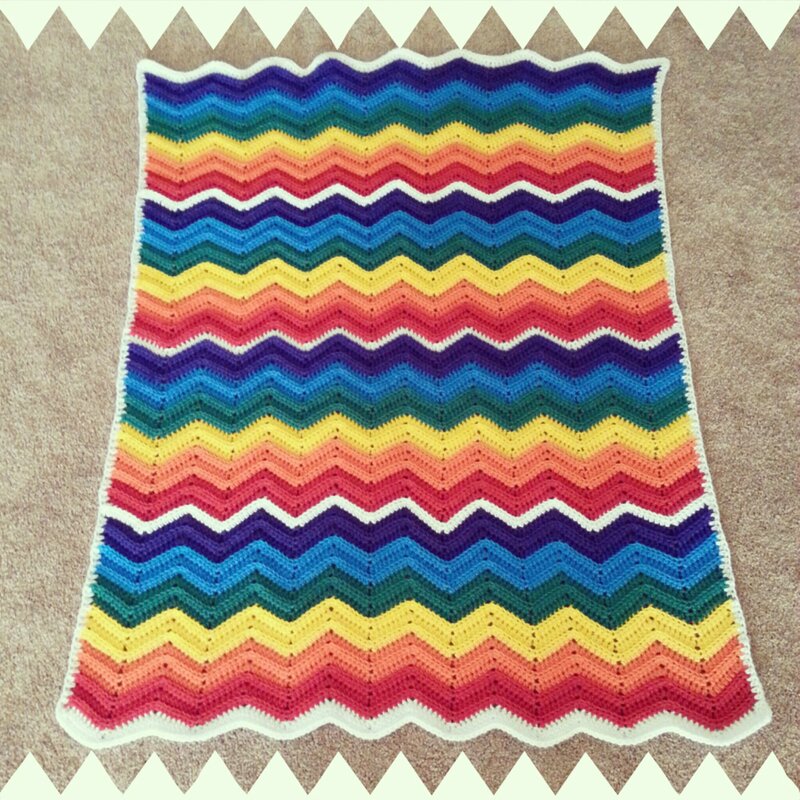 The first handmade object I finished is this rainbow baby blanket. 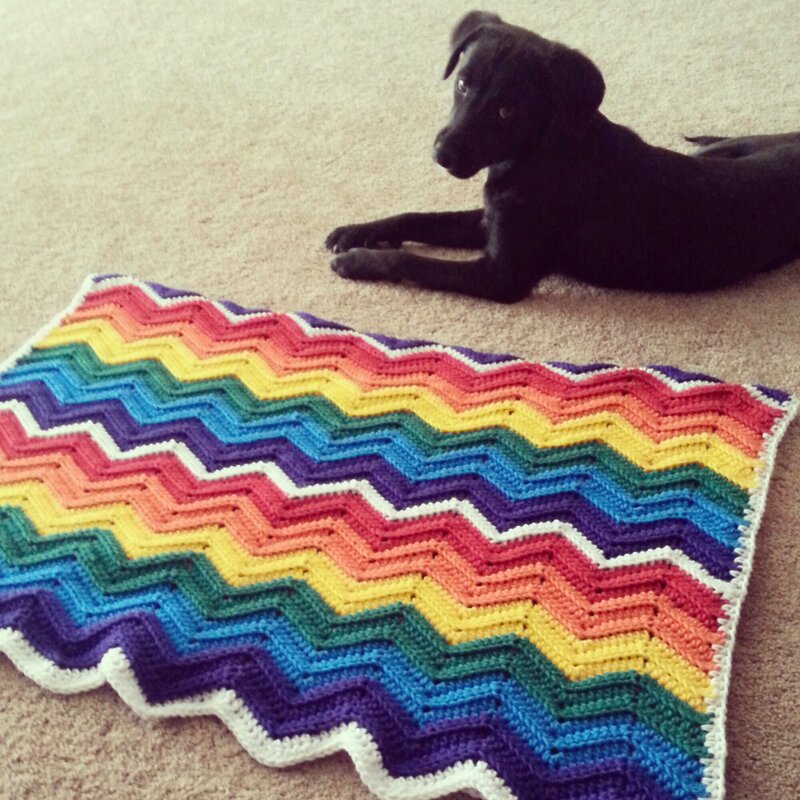 I wanted something bright and cheery to greet our new baby, our rainbow after the storm. We find out next week if we are having a boy or a girl, but we decided to stick with a gender neutral themed nursery, because we hope to have more than one baby someday. The theme is vintage circus inspired, so I’m using lots of bright colors and vintage handmade pieces from my grandma and great-grandma, as well as favorite books and toys from my own childhood. 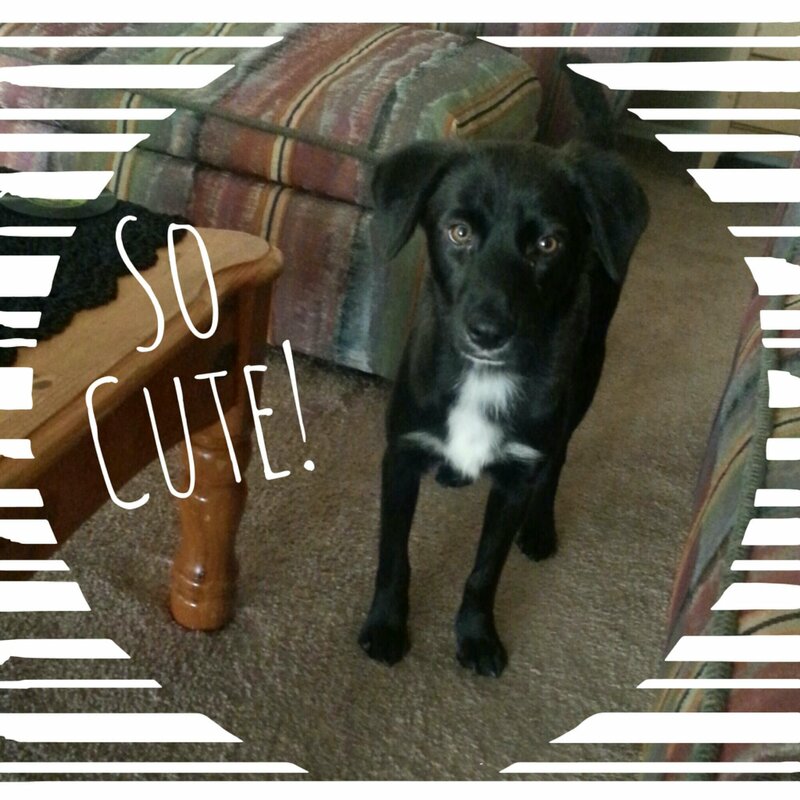 Our other big news is that we now have a furbaby: an 8 month old black lab/border collie mix named Rosie. She’s a good little dog who keeps me company during the day and seems to really like blankies (likes to chew them too). She even shows interest in crocheting by trying to take my hooks and play with yarn. I’m happy to have a new crochet buddy (wink, wink). Congratulations!!! On the baby and the puppy!!!! !